Conversations about what’s important as it concerns pitching can venture into different directions depending on who’s talking, the sub-topics, or the level of play. From the characteristics of a PITCH to the best programs for a pitcher to employ to foster performance, the debates can rage as to which way is right or what is most critical. But a laser-focused analysis on how pitchers can effectively and efficiently deliver a baseball into the strike zone with consistency may be reduced down to 3 components. Balance. Arm action. Rhythm. The argument can be made that among these necessities to deliver a baseball, the need to for balance by a pitcher is paramount. Pitching isn’t just throwing a ball, it’s the projecting of the baseball with command to a desired location, with consideration of speed and movement. 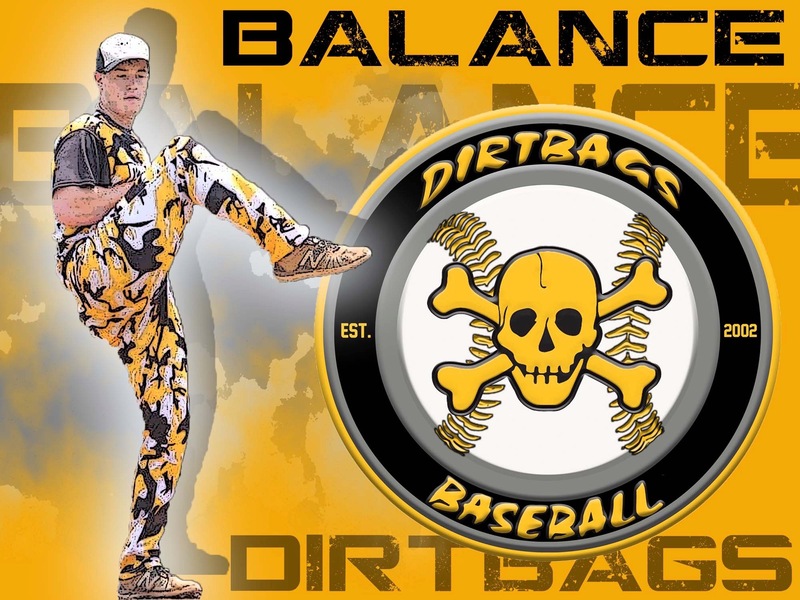 Pitching is an athletic move and perhaps nothing is as synonymous with athleticism as balance. Arm action without balance disallows a consistent and effective release point that impacts command of location. Rhythm without balance would produce body movements that may be entertaining. But these actions will likely be ineffective for the pitcher to be where they need to be in order to transfer power from the lower half to the arm. While a delivery that starts off-balance will struggle to gain balance, the most critical moment of balance is definitely the BALANCE POINT. This is the phase of the delivery where the leg lift is at it height and the pitcher is positioned on his pivot foot only. While variations and differences of philosophy may occur at this moment in regards to the style or positioning of the foot, and even the move to land, it is fairly universal that the pitcher at this balance point should have his weight focused on the inside portion of the pivot foot. Once balanced here, a landing that allows for continued balance is optimal. Always consider the pitcher an athlete and careful consideration should be taken to avoid drifting or opening early. These moves can negate the balance previously achieved. The landing creates a base from which to deliver the baseball powerfully. Balance is essential to creating this power. Here are a couple of good drills to enhance the balance of a pitcher at different stages of the pitching sequence. They are both done without throwing, thus can be part of a daily routine. Balance point touches … The pitcher achieves the balance point and takes the ball out of the glove to start a move to bend over while holding on the pivot foot. The pitcher should reach all the way down to the ground to place the ball in front of the pivot foot toe. The lead leg will project behind the pitcher on this move. The pitcher should then return to the balance point position and hold one count once achieved. A repeat of the move to retrieve the ball is finished once the pitcher acquires the balance point once again. It is important that the player not touch the lead leg foot to the ground (or at least minimally to begin). This drill requires extreme focus on the inside of the pivot foot. Attempt to complete 5 reps without stopping. Those that have gained mastery of this drill may do up to 10 reps without stopping. Reset Drill … The drill again starts at the balance point and should begin with the pitching holding the ball out of the glove. The pitcher makes the move with the lead leg foot to his landing spot while simultaneously creating the arm action of the throwing delivery. The ball should be held at the top of the throwing circle when the foot lands. This is also a timing exercise. The pitcher should focus on being in a balanced, position of power from which to deliver the ball once the foot lands. At this point the pitcher simply and slow retraces his actions to regain his starting position. Careful attention is again paid to the weight distribution of the pivot foot. Early attempts should be slow to access precision of the movement. Attempt 5 reps successively until comfort is gained, before moving to additional reps that even addresses rhythm to the move. Remember that balance is an essential component to an athletic movement. And pitchers are athletes too.